I find dive watches immensely satisfying. In a world where life can all too often be over-complicated, dive watches are reassuringly straightforward. They do what they say on the tin, nothing more, nothing less. It’s not about being fancy — it’s about being rugged and functional. Dive watches may have the side effect of making the wearer feel like a special-forces operative — but in truth, dive watches are rarely used ‘in action’. 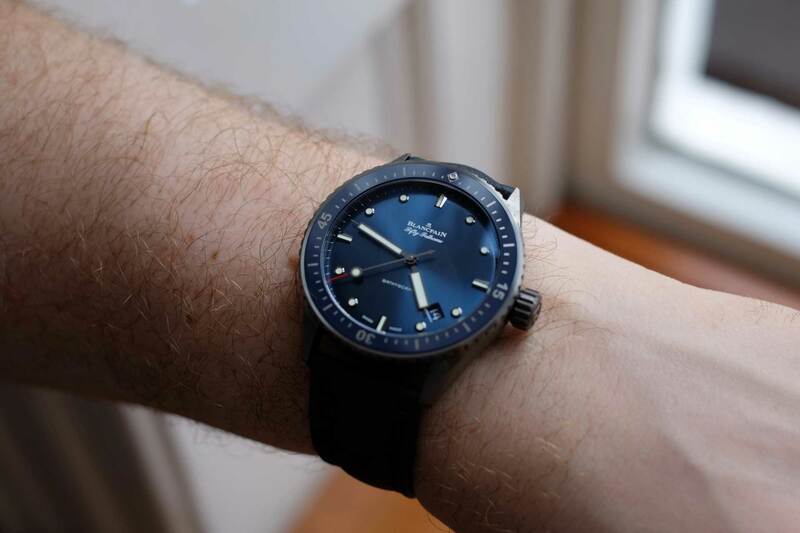 The vast majority of dive-watch owners (it is estimated that less than one percent of dive watches are actually used to dive), who are affectionately known as ‘desk divers’, rarely see depths greater than their bathtubs. This would suggest that the functional aspects of a dive watch are somewhat unimportant to owners. That being said, it’s great to know — just in case, right? It would be wrong to discuss the various components that make a dive watch, well, a dive watch without giving you some historical background. As many of you will know, watches were made for the pocket — not the wrist. However, soldiers in the late 1800s found it to be deeply inefficient to have to continuously whip out a pocket watch while on the battlefield. At that point, pocket watches begun to have lugs soldered on to fit straps that could be used to wear the watch on the wrist. One major issue (among others) was water resistance. Any rust on the small moving parts within the movement tends to be catastrophic. As a result, watches were often unreliable and this needed to be addressed. In the 1920s, Rolex’s answer to this issue was to simply create a second case, which would encase the other (think matryoshka doll). An example of this execution is the Rolex Submarine produced in 1922. However, this wasn’t a viable long-term solution as it was bulky and still unreliable. The solution here lay in the idea of integrating the waterproofing with the case. Fear not! François Borgel was on the case (pardon the pun). Based in Geneva, he was a watchcase developer. Two of his creations were patented in 1891 and 1903. 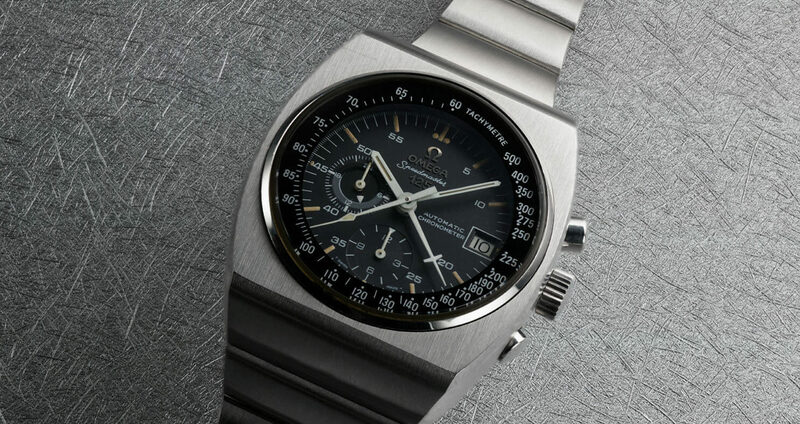 His idea was to have the caseback and front threaded, so that one could screw the two together to create a tight seal. It was also Borgel who observed that a key element in creating a truly waterproof watch lay in figuring out a way to seal the watch’s crown as well. However, it was the fabled Hans Wilsdorf of Rolex who saw the potential of the first patent for a ‘sealed crown’, or ‘screw-down crown’ (developed by Paul Perregaux and Georges Perret), and combined it with Borgel’s threaded case. So came to fruition the first truly water-resistant watch and the birth of the legendary Rolex Oyster case. 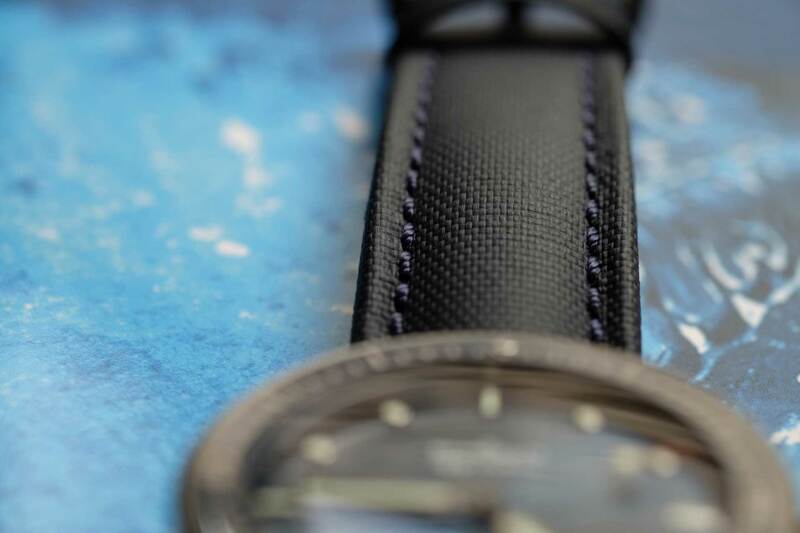 1) The Case: Notably, the form of the case and the material used are vital for a dive watch to function optimally. Let’s not forget, the case is expected to withstand harsh conditions, including being submerged in salt water for prolonged periods. The main function for the case is to ensure no water gets in! For that reason, the International Organization for Standardization (ISO), an independent, non-governmental organization comprising 162 national standards bodies, issued a standard for water-resistant watches in 1990. So how does a watch earn the ISO certification? Well, they are left in a sodium chloride solution for 24 hours and then tested for functionality. In 1996, the ISO 6425, which regulates the standards and features for diving watches, was introduced. According to the ISO 6425, dive watches must be designed to withstand diving in water at depths of at least 100m, and also possess a system to control the time. The standard requires diving watches to be tested in static or still water under 125% of the rated (water) pressure. 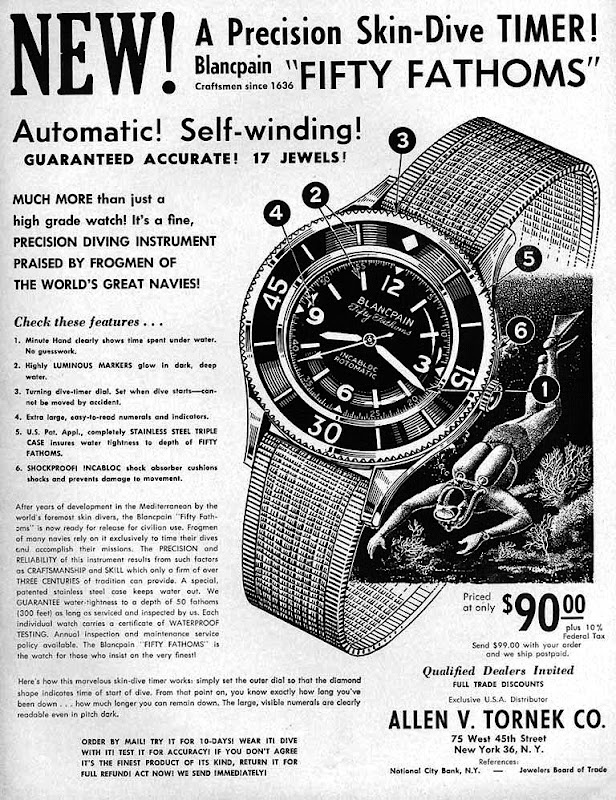 Thus a watch with a 200m rating will effectively be water-resistant, if it is stationary, up to 250m. 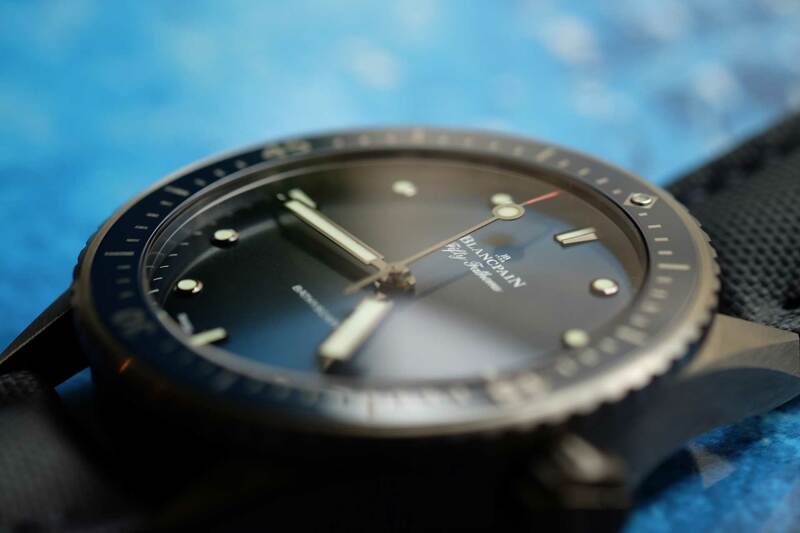 It is important to note that the testing of diving watches for ISO 6425 is a voluntary undertaking on the watchmaker’s part and involves costs. 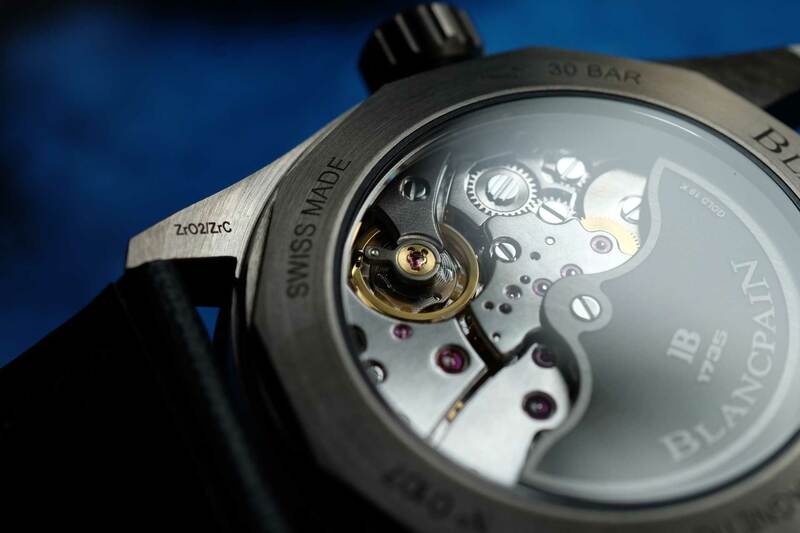 As a result, not every manufacturer presents their watches for certification according to this standard. The Fifty Fathoms Bathyscaphe is water-resistant to 300 meters. This is largely irrelevant for the recreational diver as the deepest anyone has ever gone is cirac 300 meters. The case in this instance is a gray plasma ceramic, a production method that gives the color a subtle metallic shade. 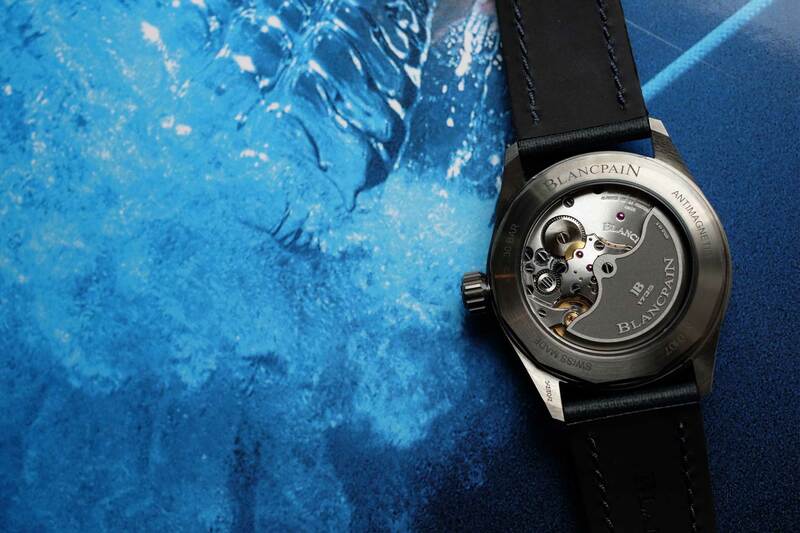 It isn’t a feature on this Bathyscaphe, but a helium release valve is typically found on watches that are intended for commercial divers. This one-way pressure release valve tends to be a simple apparatus: a spring, a plug and a rubber gasket. 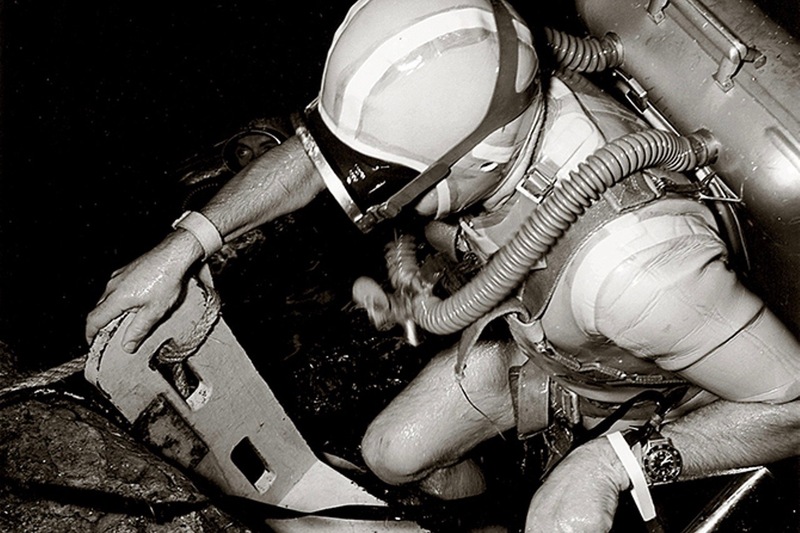 Not too long ago, divers were finding that their crystals were exploding off as they rose into decompression chambers due to a pressure build up, hence the gas release valve became an essential feature for them. As mentioned earlier, the screw down crown is a vital component for water resistance and ensures the watch functions at depths. It is worth pointing out that traditionally dive watches do not have exhibition case backs. This goes back to the functional element of a dive watch – it’s not about the aesthetic here – it’s about performance and efficiency. 2) The Bezel: A dive watch is instantly recognizable by its rotating bezel. But how does it work? Well, before submerging yourself, you rotate the bezel, and line the triangle up with the minute hand — the minute hand will move during the dive and you can clearly see how long you have been under for. Here, you can see ‘15’, ‘30’ and ‘45’ clearly marked on the bezel, along with minute graduations and 10-minute graduations (faithful to the original version of the Bathyscaphe). 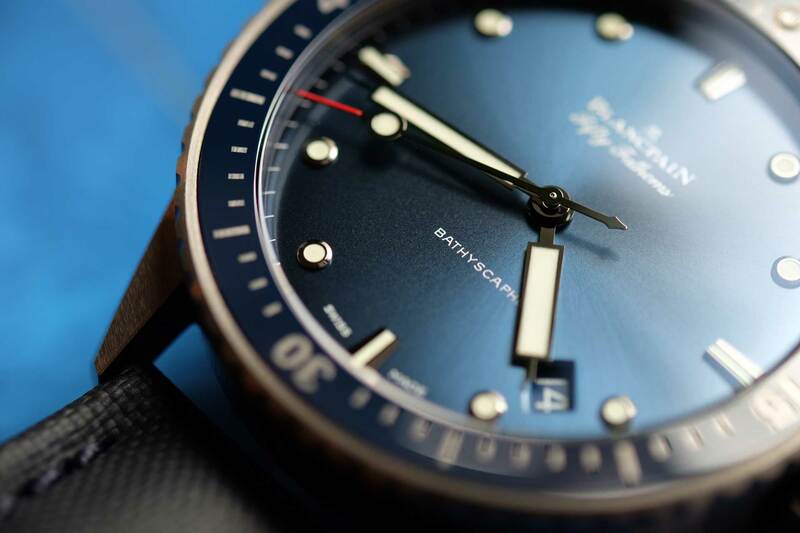 In this instance, the Bathyscaphe has a unidirectional bezel that rotates anticlockwise — this ensures that if you accidentally nudge the bezel, you will only move the bezel towards the minute hand, which will result in you returning to the surface sooner rather than abysmally later. 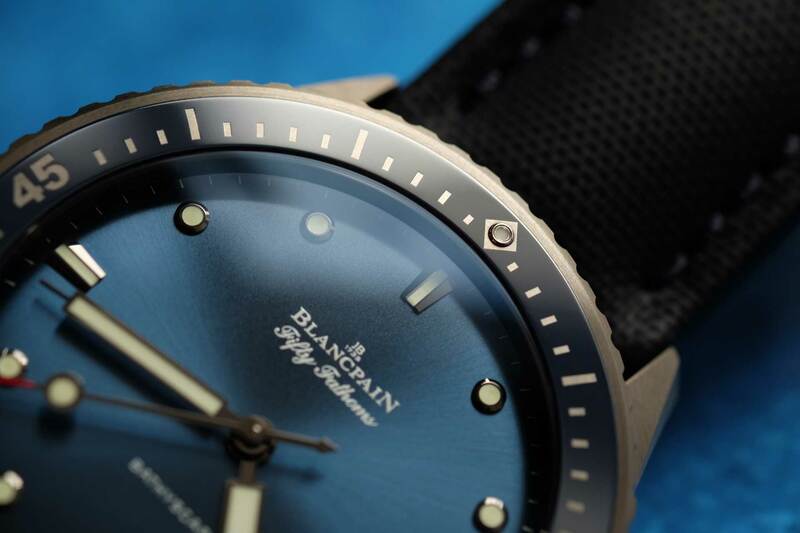 To be more specific, this Bathyscaphe boasts a plasma gray ceramic bezel, which has been fitted with a blue ceramic insert featuring Liquidmetal® hour markers, an alloy which serves to avoid distortions. 3) The Dial: A dive-watch dial has to be easy to read — this is non-negotiable. Generally, dive watches only have three hands — this removes congestion from the dial and ensures that when the water is murky, the diver has the best chance of quickly assessing time. Two elements that ensure easy legibility are luminous hour markers and hands, typically achieved with Super-LumiNova (a non-radioactive luminescent pigment). In this case, the markers at 3, 6, 9 and 12 o’clock are all luminous with polished white-gold borders (a nod to the original Bathyscaphes). During dives, the seconds hand (which has a luminous dot) serves as an indicator that the watch is running. Some dive watches also feature depth gauges on the dial as a means of deciphering how deep the diver is. These are generally represented with colored inner bezels, with from 0 to 60m of depth. 4) The Movement: The movement in a dive watch needs to be robust. Decoration is unimportant. It needs to be consistent and reliable. In the Bathyscaphe we find the self-winding, cal. 1315, with three series-coupled mainspring barrels and a silicon balance spring. The use of silicon makes it light, strong and shock-resistant (important for divers who are prone to impacts), and offers protection from magnetic disruption as well. Conceived for sports watches, the cal. 1315 is fitted with a sturdy Glucydur balance wheel, with square-head gold micrometric regulating screws. As I have said a couple of times already, a dive watch is about being utilitarian and complication free. 5) The Strap: Water, humidity and direct sunlight don’t bode well for leather or other exotic straps! A dive watch’s strap must be durable. Generally stainless steel, rubber or NATO straps tend to be the most functional options. NATO straps have become fabulously popular. The term NATO has been shortened from ‘NATO Stocking Number’. In 1973, soldiers from the British Ministry of Defence had to fill in a form called ‘G10’ to be able to gain access to NATO straps from the store. Aside from being made famous by Bond, they are easily adjustable and withstand wear and tear. The NATO in question here is sturdy, with leather surrounding the buckle holes with brushed-steel hardware. Depending on where you’re diving, you will most likely be wearing a wetsuit. For this reason, many dive watches on metal bracelets (think the Tudor Pelagos or Rolex Deepsea) feature an extension in the clasp — ‘the diver’s extension’ — to ensure it’s big enough to go around the wetsuit. The deeper you dive, the greater pressure your body will be under — thus a wetsuit that has a loose fit before a dive suddenly becomes very tight, along with it, your watch. So an easily adjustable extensive clasp is essential.